Sometime after midnight on 14 June 2017, something happens in a flat on the fourth floor of a tower block in west London. It’s flat 16, and a fault occurs in a Hotpoint fridge-freezer. It sparks a deadly chain of events. 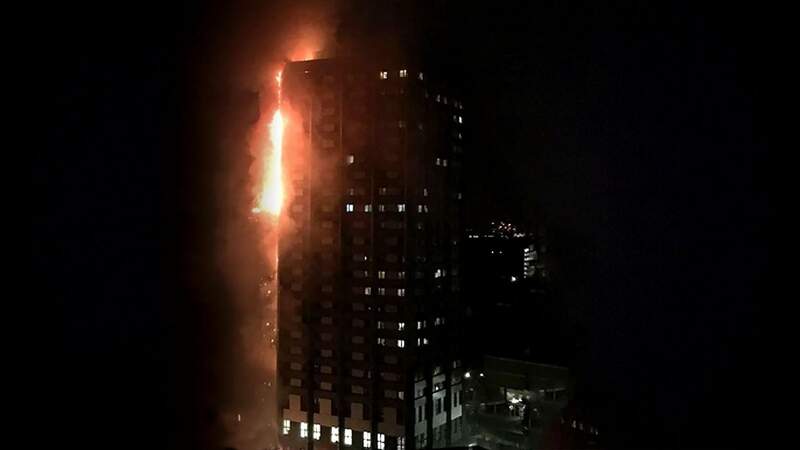 The blaze spreads quickly through the 24-storey building, and within hours it is reduced to a blackened ruin. In the hours after the blaze starts, dozens of people have to make life or death decisions. To leave or not to leave? This is the story of some of those who were in the fire, told through friends and family who were in touch with them during those desperate hours, and in the words of those who survived. 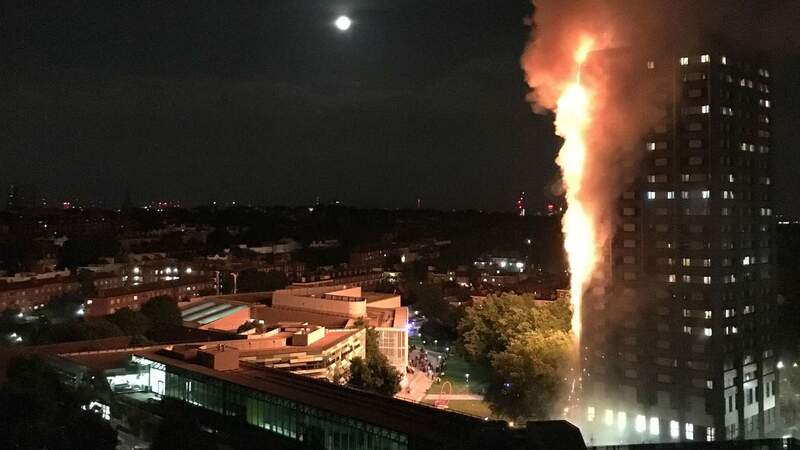 The BBC has pieced together a picture of what happened as the fire took hold - using interviews with survivors, witnesses and relatives of the missing, as well as video footage, gathered on the night and in the immediate aftermath. 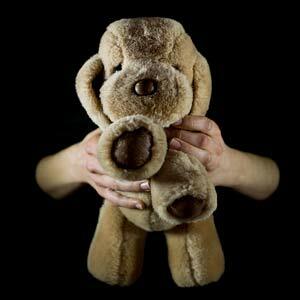 Every person’s recollection of a traumatic event is unique, and memory can sometimes be unreliable. But what follows are insights into what people in Grenfell Tower faced that night. One month on, facts remain scarce. The authorities say 80 people are dead, or missing and presumed to be dead, but many people have not yet been identified. This story starts at 00:54, when the emergency services are called. By 01:00 firefighters are on the scene. Tens of people are escaping. Khalid Suleman Ahmed leaves his flat to knock on neighbours' doors. A poster inside Grenfell Tower advises residents to “stay put” unless a fire is in or directly affecting their flat. “You should be initially safe to stay in your flat keeping the doors and windows closed,” it reads. The fire doors fitted on flats do their job, according to survivors and video footage. They keep clean air in and smoke out of flats unaffected yet by fire. 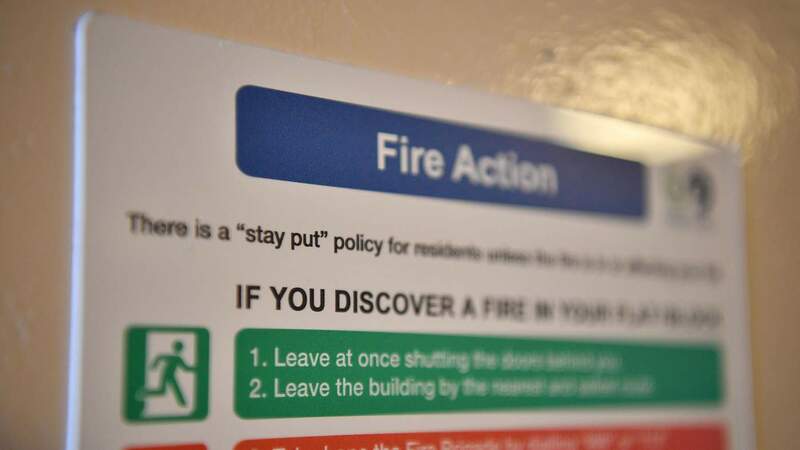 A “stay-put” policy assumes that emergency services will, at some point, be able to put out the fire - so residents should shelter in flats until a firefighter rescues them. Fleeing residents would risk running into flames, causing a stampede, or blocking the path of firefighters running up the stairs. Farah Hamdan is at home on the 20th floor with her husband and daughters, including six-month-old baby Leena. Her 999 call is just one of the 600 made that night. Emergency service advice was to stay where she was. Firefighters would come to get her and her family. “We were told to stay put, not go anywhere,” Farah tells her sister on the phone, when she encourages them to leave. She is just one of many people who in the coming hours will have to make a series of life or death decisions. To stay. To run. Seek shelter. Help neighbours. Ring loved ones. To say goodbye. 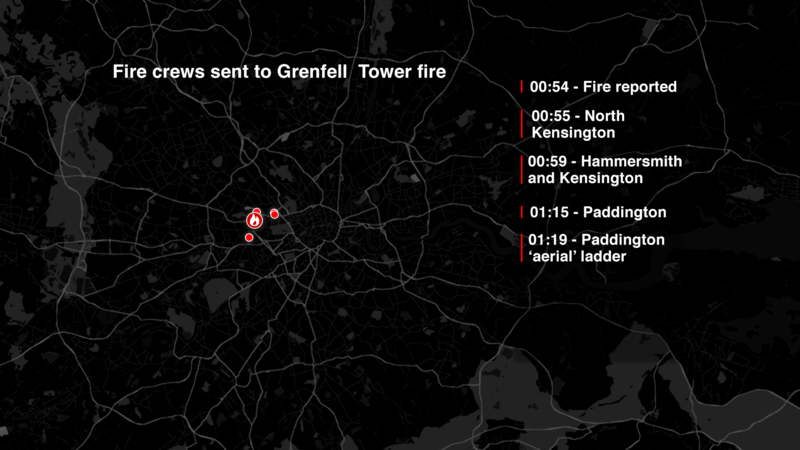 In the first 20 minutes, no-one tweets about the fire. 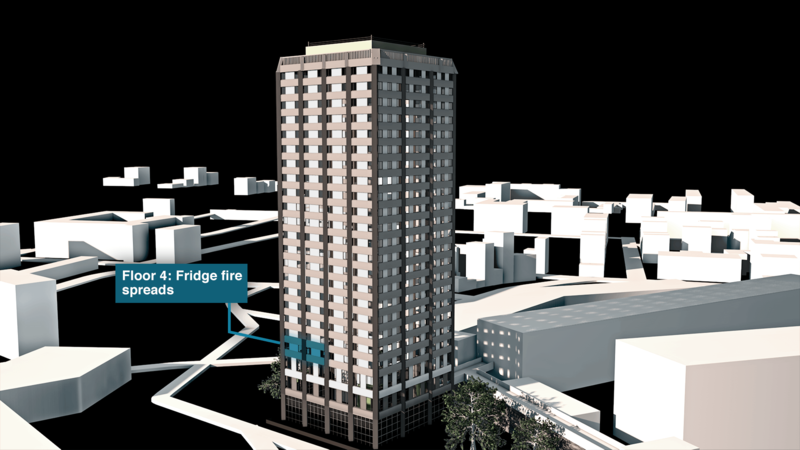 The fire service follows standard policy for a tower block fire, information obtained by the BBC's Newsnight programme shows later. It dispatches four fire engines equipped with standard apparatus for firefighters. There is no high ladder. Firefighters soon believe they are on top of fighting the fridge fire, the BBC investigation learns. 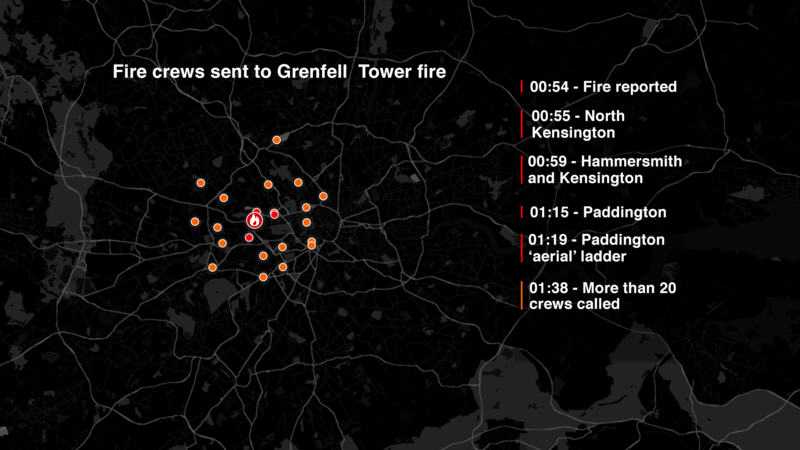 In the next 30 minutes, it becomes clear that the Grenfell blaze is no ordinary fire. “The fire’s spreading up, look, wow,” one man shouts, filming the fire on his phone. The exterior is catching fire along the cladding - aluminium panels fitted to improve the block’s insulation and appearance. “The building looked like it was fizzing,” said one resident who got out early. Between people inside the tower and safety is a single set of concrete steps bisecting the building through its core. It is the only fire escape route for a block of hundreds of people. Those on the top three floors are looking at 22, 23, 24 flights of stairs. For the elderly and the sick, negotiating the stairs is almost unthinkable. Hesham Rahman and Mohamed Neda, neighbours on the 23rd floor - the highest residential floor - would normally take one of two lifts in the building. But now they are looking at 48 sets of stairs. That’s about 300 steps. Seven steps, turn, seven steps, turn, seven steps, turn. Over and over again. They are both 57 and not in perfect health. 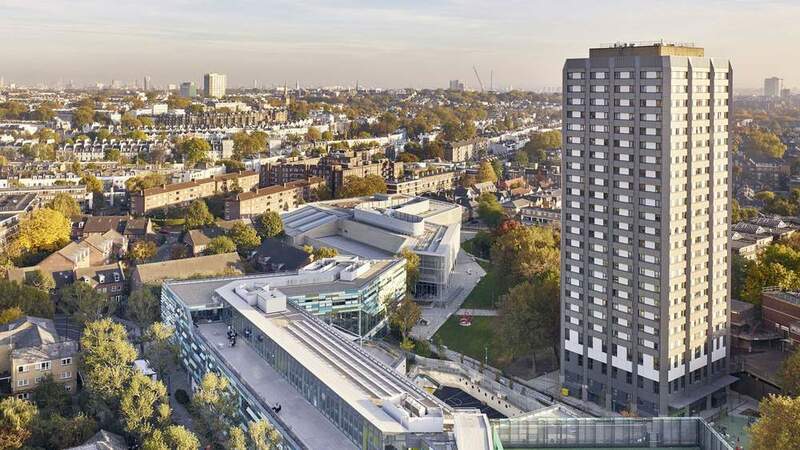 “On a normal day, it could take 30 minutes to get out of the building,” Andrea Newton, vice-chair of Lancaster West estate residents group said later. But it is not a normal day. The stairwell is filling with acrid smoke from the fire below - black, thick, poisonous. The stairwell cavity funnels fumes up inside the block. “The smoke was black, and it was so hot, and I couldn't breathe, but I kept going,” Christos Fairbairn said later. Smoke causes choking and asphyxiation, but it also causes nausea and confusion. 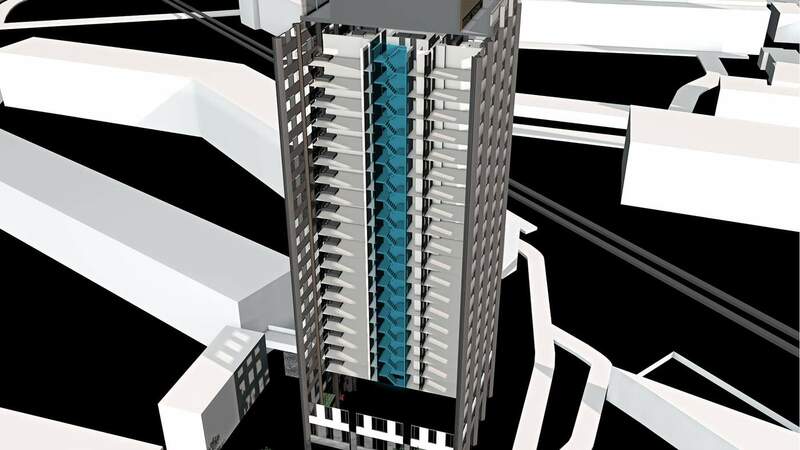 Each resident with a health condition such as asthma or heart problems will take longer to get down stairs and be less able to endure the smoke. Anyway, the advice from emergency services on the other end of the phone is stay put. Hesham and Mohamed stay on the top floor. But 82-year-old Ali Yawar Jafari tries to make it down. He leaves his flat on the 11th floor with his family - it is just 12 flights to get through. He has a heart condition so he tries to take the lift. He becomes separated from his wife and children, who make it to safety. For those navigating the stairs, smoke makes it hard to see. It stings eyes, it’s dark, it’s hot. “I couldn't see anything. I saw the fire around me. I couldn't talk, I couldn't look around, I couldn't see anything - not even my fingers,” Omar Alhajali, said later, describing the stairwell. For families with children, the stairs may also have seemed too dangerous to risk. Oluwaseun Talabi lived on the 14th floor. After just four floors, he gave up. Firefighters got him and his family out alive. 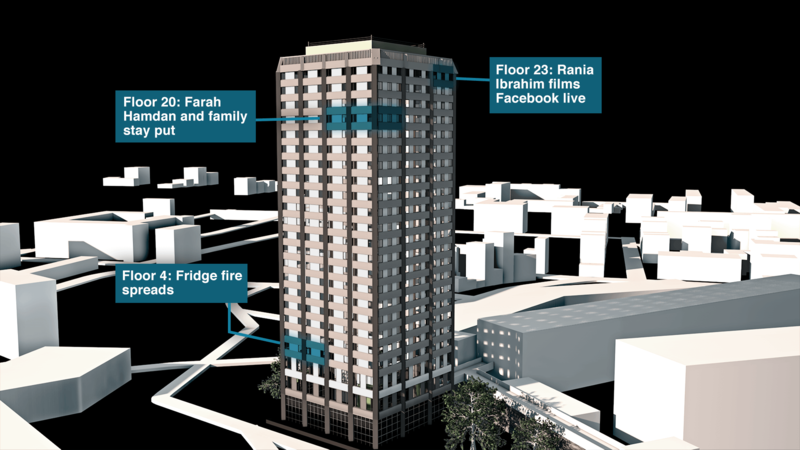 Nine floors above the Talabi family, Rania Ibrahim is home alone with her two daughters. Hania is three, Fathia is five. 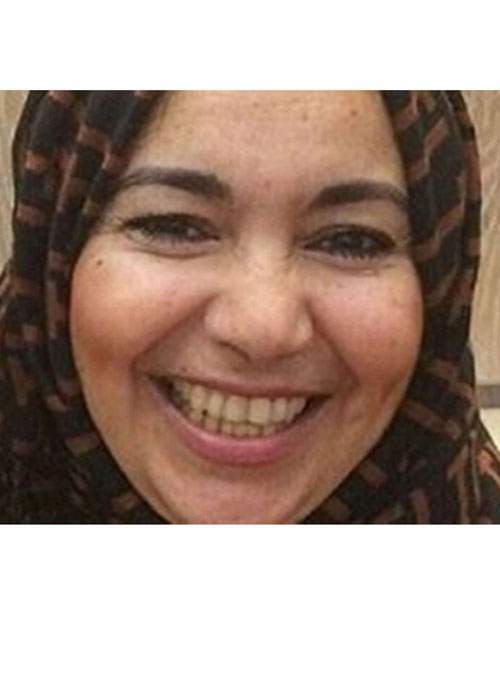 Her husband, Hassan, is away in Egypt. Families such as Rania’s in Grenfell face a dilemma - do they lead panicking children down hundreds of steps and risk losing them in the smoke and chaos, or stay put to await the firefighters who say they are coming? Twelve-year-old Jessica Urbano was home alone when the fire broke out. She calls her family from someone else’s phone. Her father, who is standing outside, tells her to leave as fast as she can. “She was out of the flat at 01:30, she was making her way down with some people, and then her phone cut off,” he said later. The phone she is calling from belongs to Brkite Haftom, who is fleeing with her 12-year-old son, Buroke. Perhaps they found each other in the chaos and tried to go down together. The stairwell is not wide. Just over 1m (3ft). And it is filling up. More people lose each other. 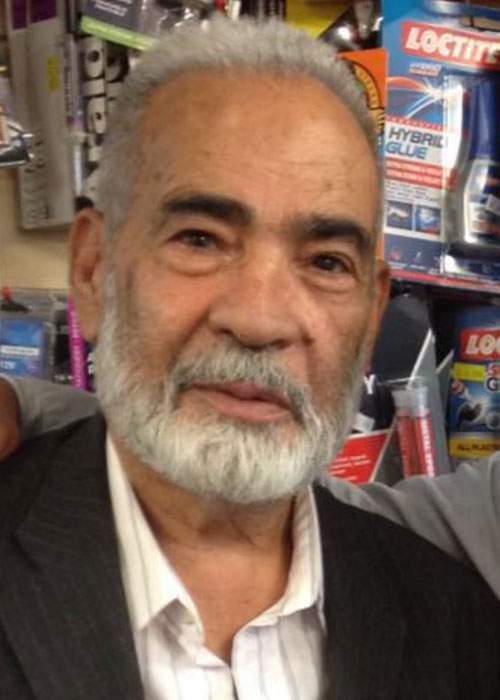 “From the 16th, we went to the 15th, I looked behind me, she wasn’t there,” 72-year-old Sabah Abdullah said later, describing fleeing with his wife, Khadija Khalloufi. Khadija makes it outside, but doesn't survive. People later described squeezing past firefighters running up as they run down. Bodies and debris begin to fill the steps. 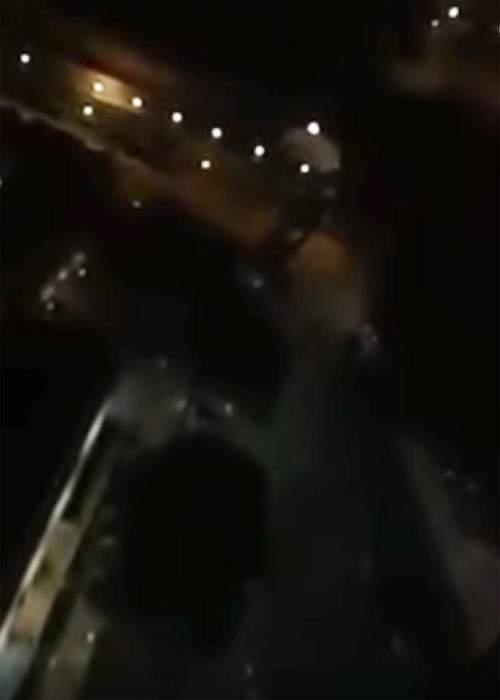 At 01:32 a “high” ladder arrives that is capable of reaching the 10th floor. More than 20 fire engines arrive in the next 20 minutes. Inside the tower, people continue to weigh up the dangers of running against the dangers of staying. But not everyone braves the stairwell to go down. Some go up. 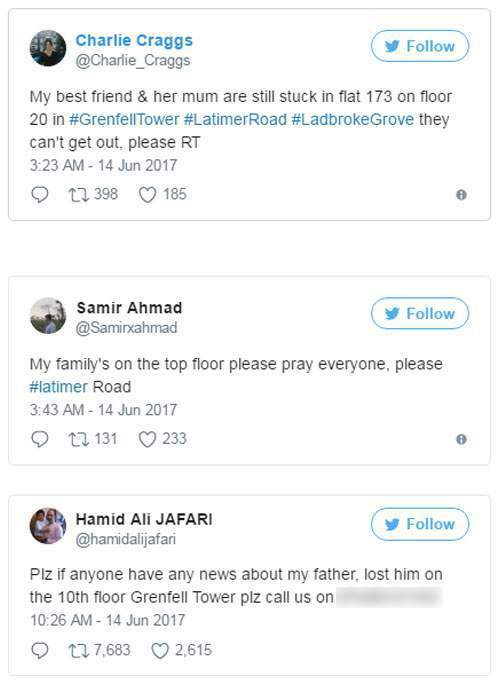 On the evening of 13 June, Fatima Afrasiabi went to Grenfell Tower to visit her sister. Sakineh, who lived on the 18th floor, had difficulty walking and was visually impaired. “After the fire broke out, a friend came to help them get her away from the smoke,” her daughter Nazinin Aghlani said later. The friend was one of a family of seven who lived together in the same flat. Together, they decide to bide their time until firefighters reach them. They climb the stairs away from the smoke. 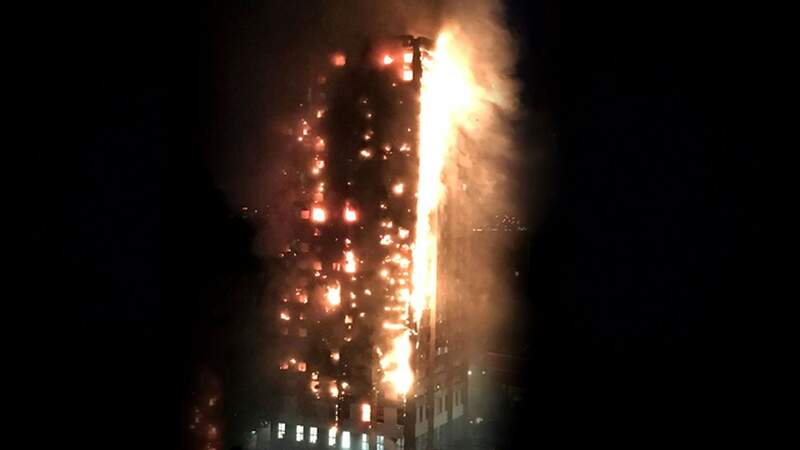 By 01:38, 28 more fire engines arrive, but the firefighters are having problems getting up the stairs - their breathing equipment is inadequate to deal with the scale of the fire. 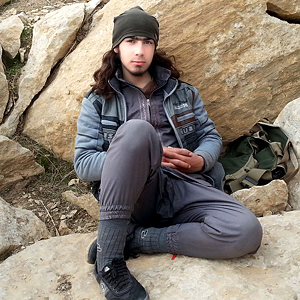 “My aunt Fatima was crying for help and for someone to rescue them,” Nazinin said. “My brother was on the phone with them. They climb up away from the fire to the 23rd floor to shelter in an area firefighters would never reach. 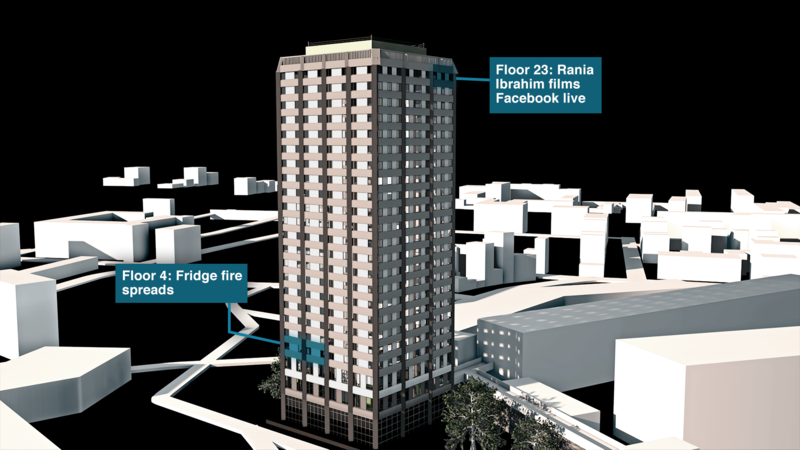 At 01:40, Rania Ibrahim looks out of her 23rd-storey flat. 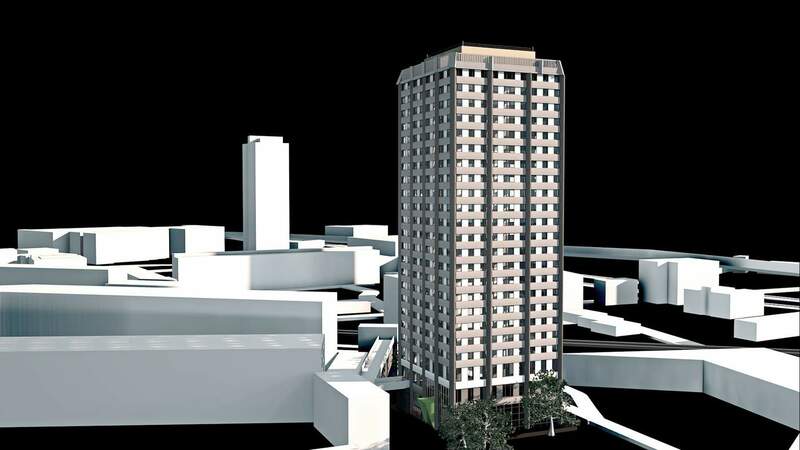 Her flat faces west - below, there are the trees, the estate, and the usual views of other high rises. She is sharing her live video on Facebook. The blue flashing lights, the commotion and the occasional screams on the ground are distant and small. What she can’t see are the flames. An hour after the fire began, it has not yet spread around the whole block. For the next eight minutes, Rania shares a scene of remarkable bravery, as well as growing panic. 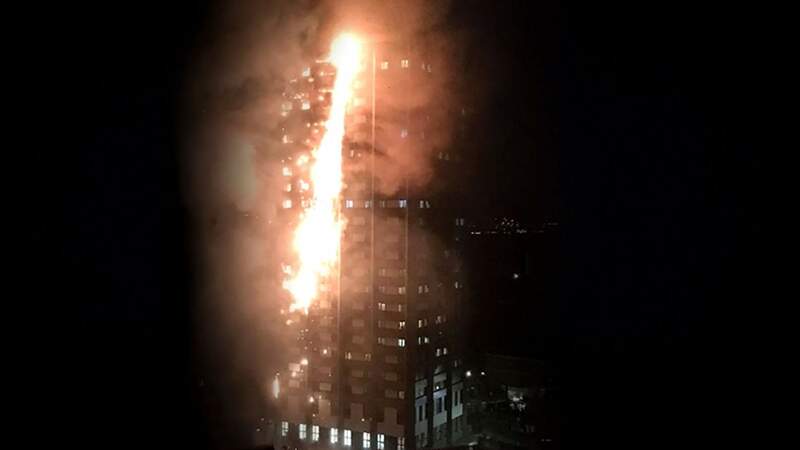 It is the only footage that has emerged from inside Grenfell Tower that night. 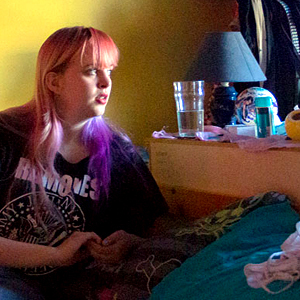 A group of people have gathered in her flat, which is smoke-free. 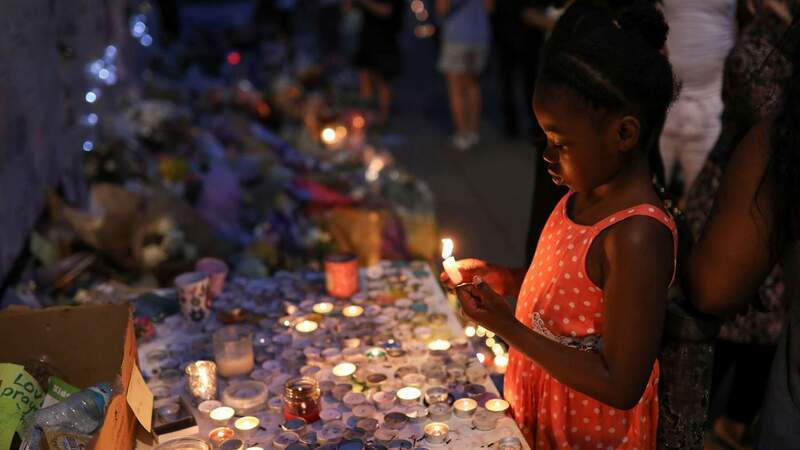 “Fathia was friends with Rania, so they must have gone to her flat to be with them when the fire started - maybe they were scared and wanted to be together,” a friend of Ibufras and Esra Ibrahim said later. 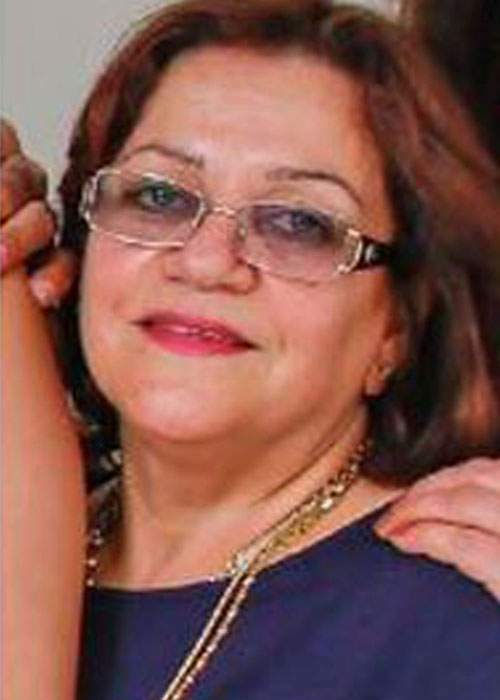 They have joined Rania and her daughters Hania, three, and Fathia, five, as has Esra’s mother, 72-year-old Fathia Alsanousi. “Don't open the front door. You're going to bring the smoke in, you're not going to be able to breathe,” says Esra Ibrahim to Rania. “I’m scared that maybe there’s someone outside,” Rania replies. “Don’t open it. There’s too much smoke,” she is told. 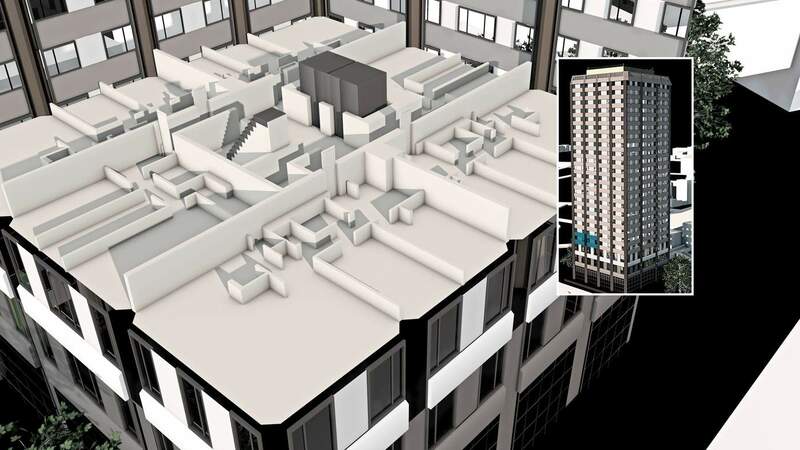 Most of the floors in Grenfell Tower consisted of six flats - four with two bedrooms and two one-bedroom. 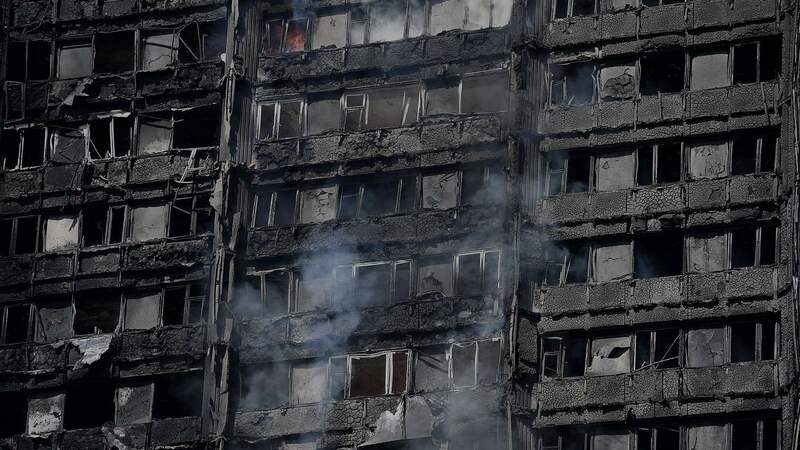 Police believe about 350 people should have been in the tower block on 14 June, each floor having the potential to house at least 10-20 people. Some of those other residents on the 23rd floor bang loudly on Rania’s flat. Hania and Fathia are behind her, and she knows the hallway outside is filling with deadly fumes. But Rania opens the door. “Hello? Come here, come here,” she says. An elderly man rushes in from the fog-like smoke. It is Hesham Rahman, from the other side of the floor. “Come in, quick, quick,” Rania says. Rania wants to help more people. She thinks they are in the hallway outside. “But [what about] the people outside?” she asks when Ibufras pulls the door shut. She goes back out into the hallway - into the smoke and dark. A mechanical whirring noise is echoing, but there are no audible alarms. “Hello?” she is heard saying. “We are here, we are inside,” someone replies. Reassured, Rania goes back inside and comforts her daughters. “Sit down, sit down,” she urges them. “Maybe there is a rubbish chute?” Esra Ibrahim asks, wondering about other escape routes. “We're stuck on the 23rd floor,” she shouts out of the window. “The police are saying, 'Get out'. How can we?” Rania asks. Next door, sisters Sakineh and Fatima have climbed up from the 18th floor and have made it to Mohamed Neda’s flat. He is injured and has told his family to go without him. His wife, daughter and other relatives make it out with serious injuries. 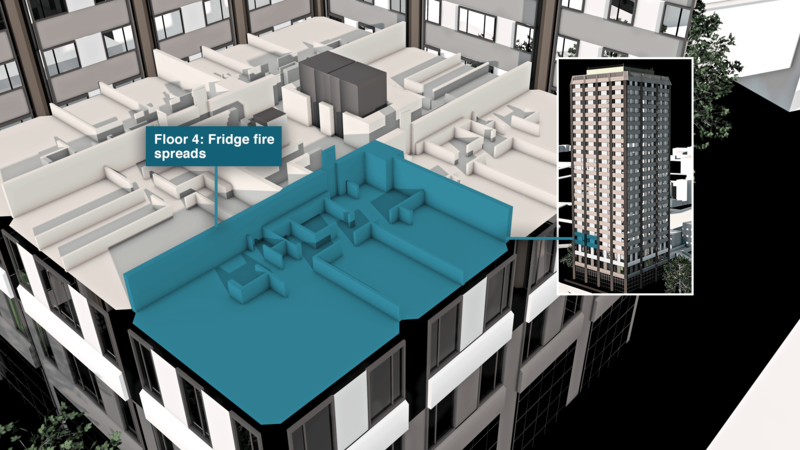 They and two others - women in their 20s - are the only known survivors of the 23rd floor. At 02:00, Mohamed calls his family to say goodbye. His body is later found at the foot of the tower. 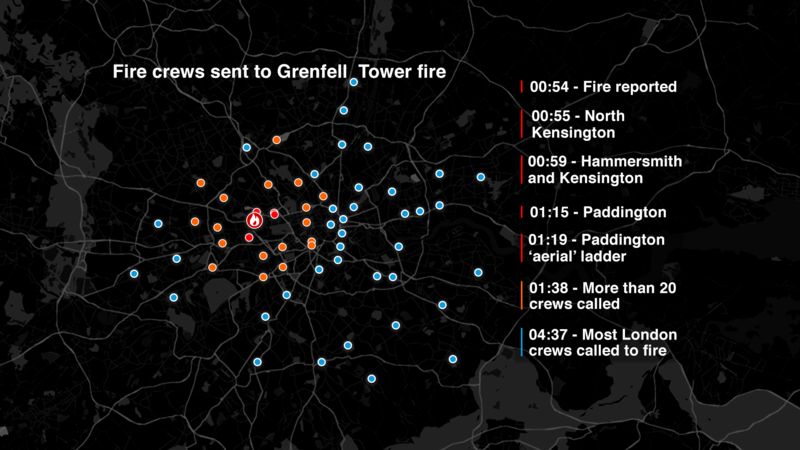 The top three storeys are the deadliest in the Grenfell fire. Of the 48 people believed to be there on the night, just 14 survive. The building is making loud crunching and crashing sounds. “It’s all the way to the top,” a witness says in mobile phone footage. Firefighters and emergency services begin to tell people to get out, according to family members and survivors. By 02:16 fire chiefs have called in all the extended duration breathing equipment available in London to help crews fight the fire. In the upper half of the building, some people leave their flats, including artist Khadija Saye, who sends a message to a friend. Khadija and her mother, Mary Mendy, left the flat together. Firefighters later recover their bodies two floors apart. Genet Shawo and Paulos Patakle, escaping from the 18th floor, wrap wet towels around their two children. They get separated from five-year-old Isaac in the stairwell. Some children remain with their elderly parents. 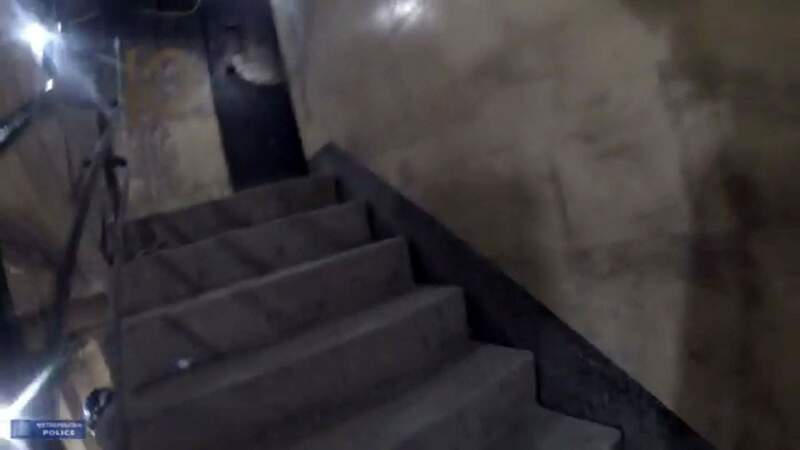 Husna Begum and her brothers are with their mother and father, 87-year-old Kamru Miah and 65-year-old Rebeya Begum, in their flat on the 17th floor. Husna phones brother Mohammed Hakim, who had not been at home when the fire started. 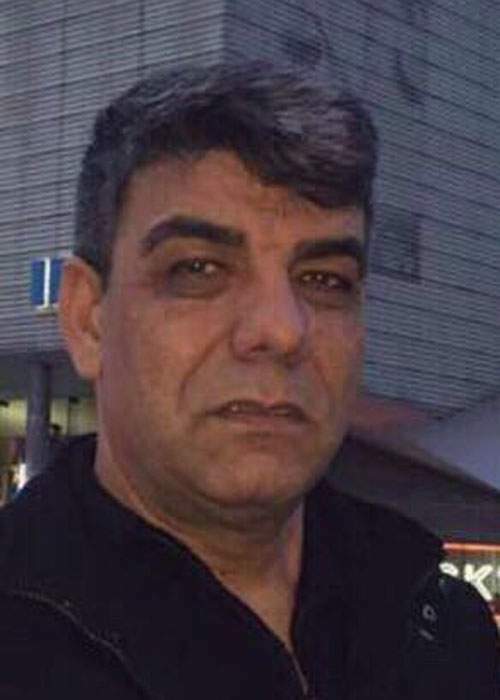 Omar Belkadi and his wife Farah Hamdan leave their flat on the 20th floor with their three children, baby Leena, eight-year-old Malak, and Tasnim, six. Malak and Tasnim are discovered by firefighters and pulled alive from the building. 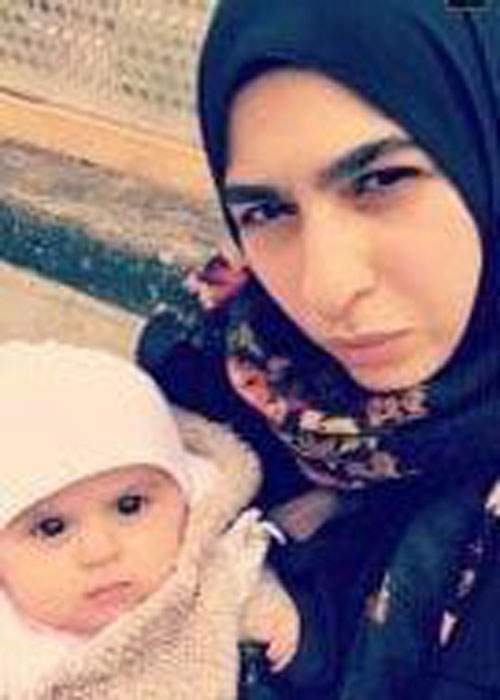 Six-month-old Leena was found dead in her mother's arms. She died alongside Omar and Farah, in the stairwell outside their flat. Throughout the night, going from floor to floor, firefighters face impossible choices. “My colleague was going in there and literally having to choose who to save and who to leave and die - you only have two hands and you only take out so many people,” Lucy Masoud, a firefighter, said later. 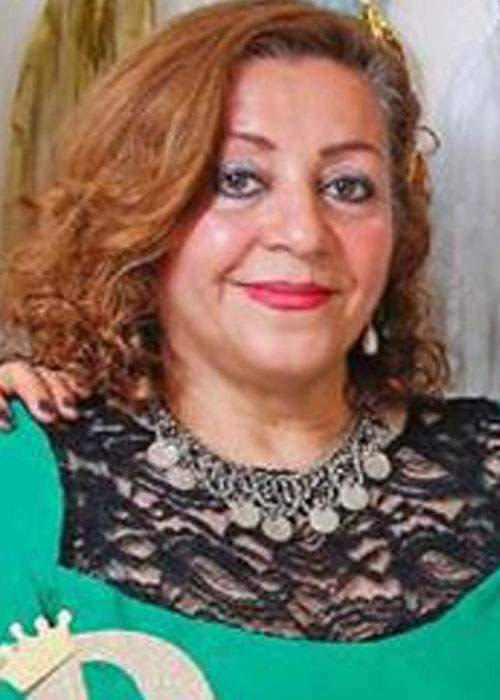 At 03:00, Sawsan Choucair, who is standing outside watching, receives her final call from her family inside - her mother, sister, brother-in-law and their children lived on the 22nd floor. 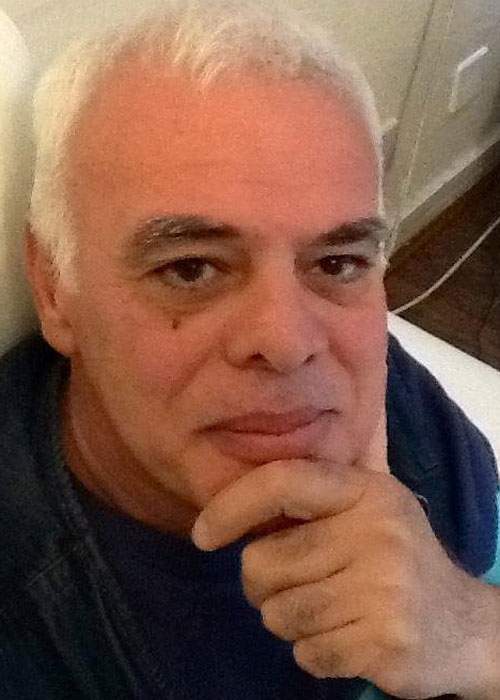 At 03:30, Anthony Disson calls his family to say he is being told to stay in his flat. “Tell my sons I love them,” he says. 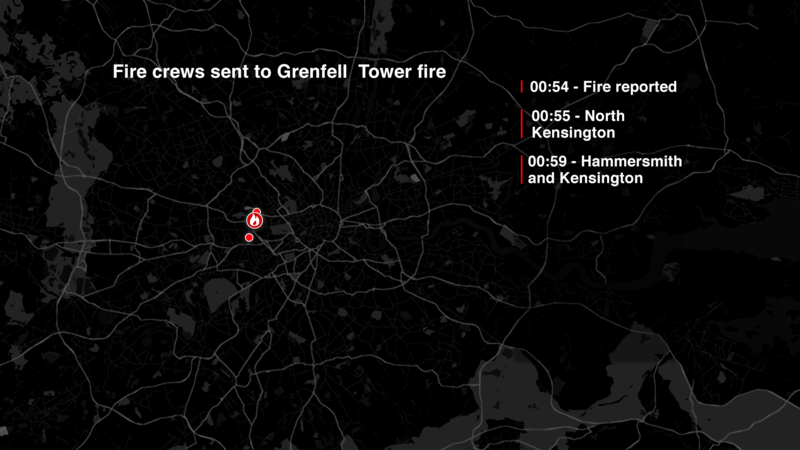 By 04:30, fire crews are being deployed from all over London in an unprecedented response. Crowds outside are swelling and houses in the surrounding area have been evacuated, as debris has fallen on homes. The scene is terrifying - survivors, relatives, and local residents are watching. 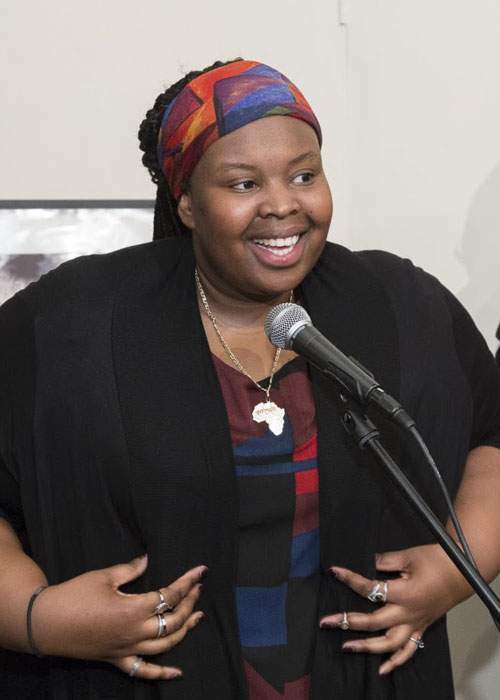 Beinazir Lasharie lives next to Grenfell. 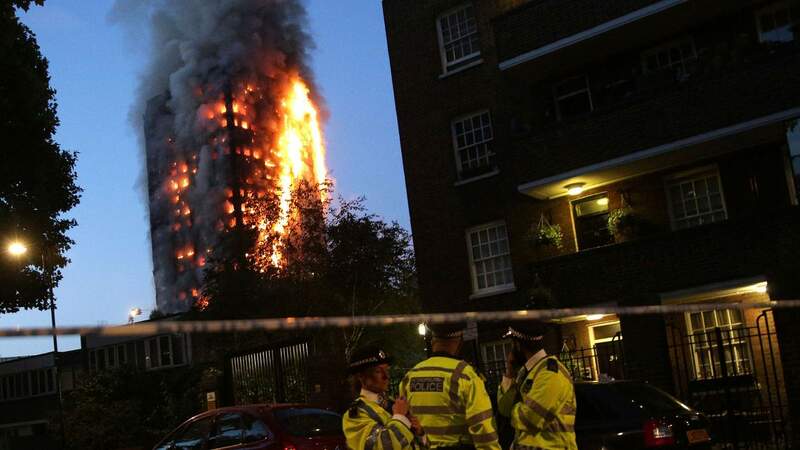 “By the time I left my flat, the fire was all the way around the building. The material was burning on the outside up,” she says. Mobile phones record families dangling ropes made from bedsheets, children screaming. In the chaos, witnesses report that a baby is thrown from a 10th floor, or higher, window. “A man ran forward and caught the baby,” one says. But no-one has come forward to say they caught a baby - or that it was their baby that was caught. 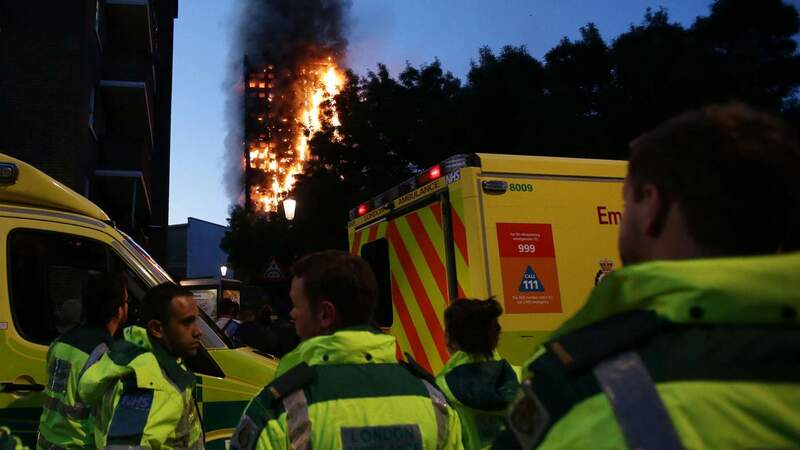 At 04:43, the sky begins to turn light as the Sun rises on a fire that would not be extinguished for many more hours. There are no more known calls from the block. Worried friends and family post on social media. At 07:00, Antonio Roncolato is rescued from the 10th floor. 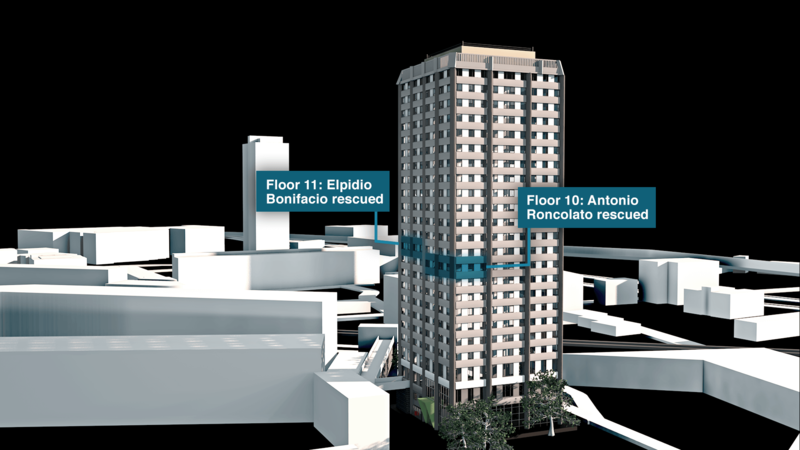 At midday, Elpidio Bonifacio, a partially blind pensioner, is rescued from the 11th floor in full view of the world’s media. Firefighters continue to tackle the blaze, which is eventually put out at 01:14 on 15 June, more than 24 hours after it started. In the weeks since the fire, major landmarks are passing for the people missing. 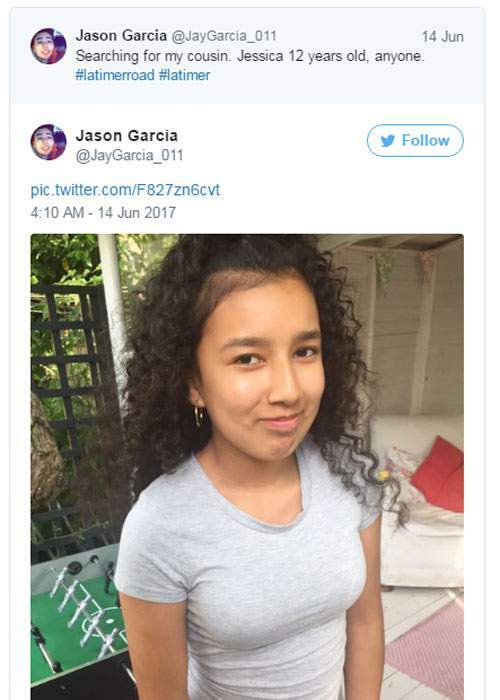 Jessica Urbano, who got lost after she left her flat on the 20th floor, turned 13 on 4 July. Her family held a gathering to mark her birthday. Husna Begum, who was 22, was due to get married in early July. On 28 June, an inquest into her death was opened. As of 12 July, 34 victims had been formally identified, but relatives of the many missing fear they will not receive confirmation of their relatives’ deaths or receive a body to bury for months. Maria and Zainu Deen, who lost 32-year-old Zainab and two-year-old Jeremiah, are preparing to wait until at least the end of 2017, when the investigation inside the tower may conclude. “Will Grenfell Tower be their grave?” Maria asks. One month on, for many families, the wait for information continues.